On view at the High right now is a fringed turquoise jacket that made me silently wonder, "1970s rock star or 19th century Native American?" For a second, I thought it might have been worn by the former. So much presence it has. 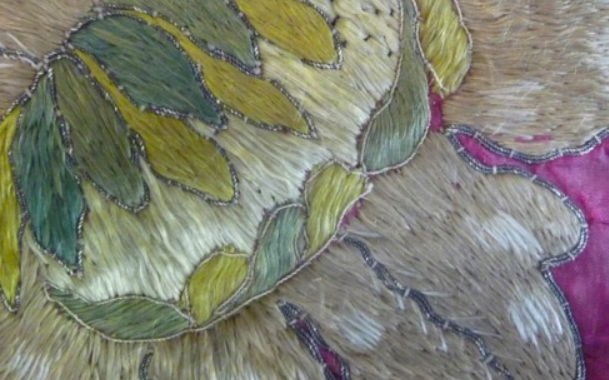 The jacket is one of several beautifully embellished examples included in the museum's new exhibition, Go West! Although landscape photography and painting -- eleven Bierstadts along with numerous works by Moran, Wyeth, Remington, and Twachtman -- form the heart of the show, textiles are a strong component. 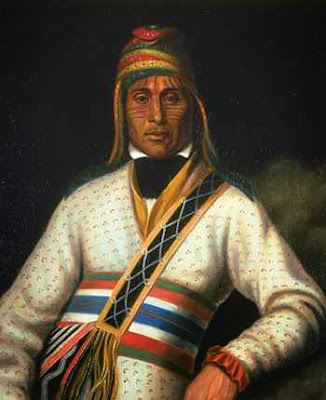 In addition to actual beadwork, painted bags and stunning feathered pieces, there are the textiles captured by Henry Inman in his series of portraits of primarily southern Native American tribal leaders. All 24 have been installed together, so this massive gallery wall alone warrants lots of visual note taking. Pairing old with contemporary, geometric with botanical, the mix of the day sets Carolina Irving's Andaluz in Viola against late-18th-century Northern Indian designs seen in Rosemary Crill's book from the V A Pattern series: Indian Florals. Another scholar, The Design Library's founder Susan Meller, has a new book due out toward the end of November. 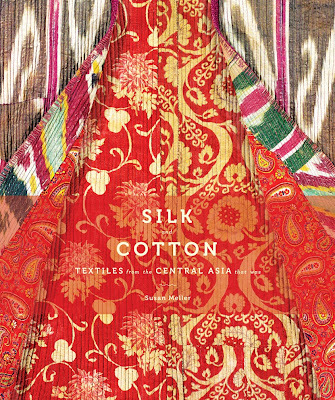 In the next few weeks, I'll explore Silk and Cotton: Textiles from the Central Asia that Was. 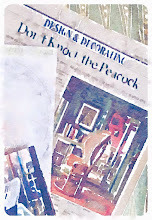 But in case you don't know, Meller's own site offers sneak peeks inside all of her books, archive images available to license, notecards and an online bazaar with antique and vintage fabrics. 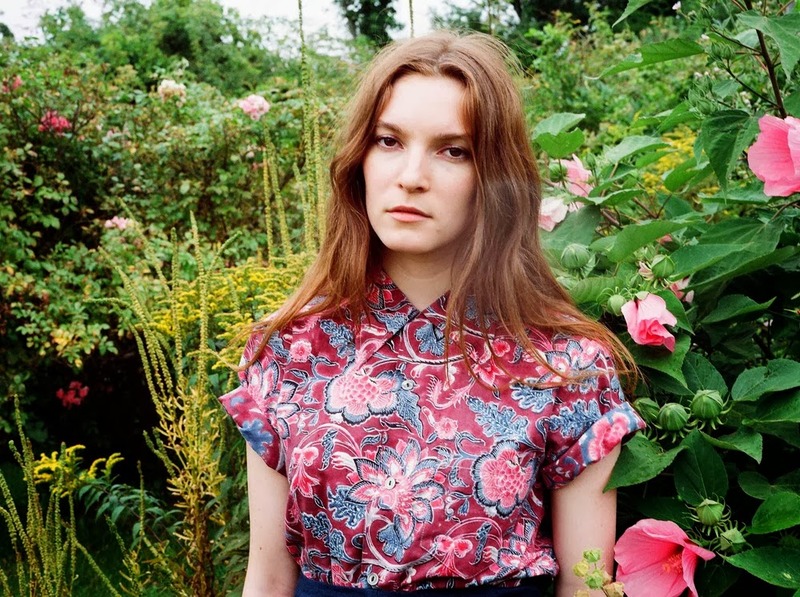 Riotous hand-painted florals, orderly embroidered botanicals, and the looser, abstract patterns created by old hand-dying methods: Bailey Hunter appreciates it all. 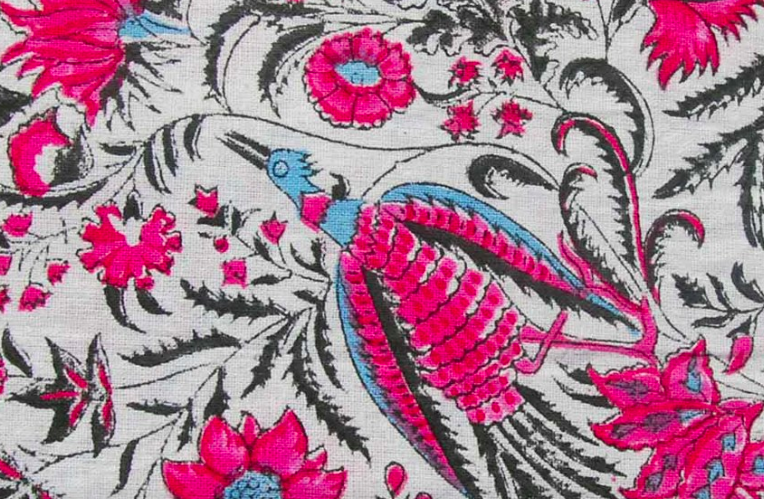 With a clear passion for India's rich tradition of textile design and production, Hunter explains, "I'm drawn to the idea of using elements from historic costume and textiles and recreating them in a modern way in the same regions, and with the same techniques of the originals." Looking back to 18th-century Coromandel Coast chintzes, Mughal-era embroideries and Gandhi's interest in hand-spun khadi, Hunter's initiative, Cistanthe, works with women on the subcontinent to produce organic cottons and silks -- these painted and block-printed florals as well as crisper butah-strewn fabrics and solids. 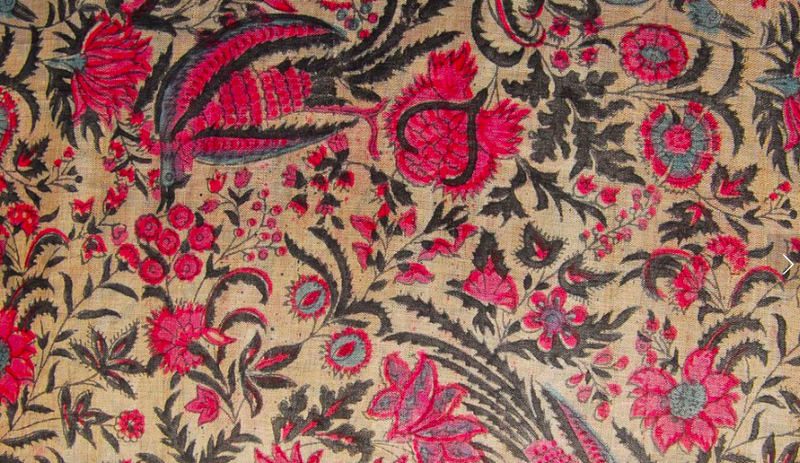 In New York, the textiles are stitched into clothes, the contemporary made-to-order pieces for which Hunter is known. 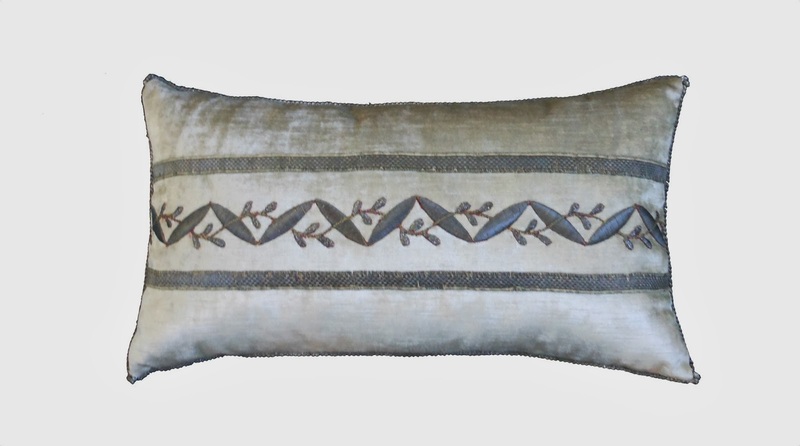 But if you're thinking you'd like to get your hands on the fair trade fabrics for a personal project -- pillows, curtains, or maybe a footstool? -- prints and solids can be bought by the meter. 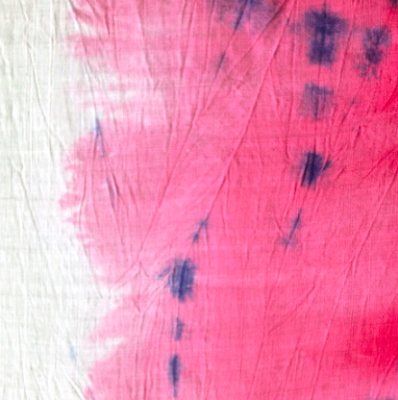 (They are attainably priced, too, with naturally-dyed painted cottons and silks currently ranging from $35 to $60.) Pictured directly above is an example of Cistanthe's silk tussah. A bit sheer and less smooth than the cotton, it's better suited to curtains than upholstery. Other options should soon be posted over at Cistanthe online, so visit repeatedly in November. 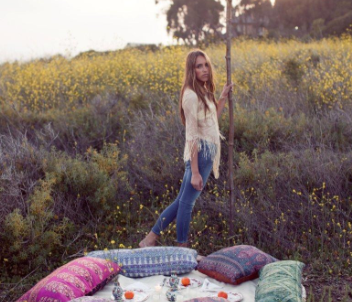 And Hunter says more textiles are on the way toward the very end of the year. In the meantime, Cistanthe inspires and delights here. BTW, textile designer Kevin O'Brien, also fascinated by the history of cross-cultural exchange, will be at The Met Friday, November 8th from 6:30 to 7:30 p.m. to lead a tour through the exhibition we've been talking about for weeks, Interwoven Globe: The Worldwide Textile Trade, 1500–1800. Limited to 25 visitors, the tour offers a chance to see the show through another designer's eyes. 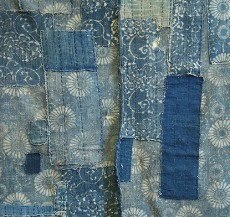 Here's a tiny peek at what we'll explore next week: hand-painted and blocked cottons and silk tussah along with hand-embroidery from Bailey Hunter's initiative, Cistanthe. With scores of green Parisian-like park chairs, box planters and trees in the background, garden writer Paula Deitz visited the High last night to talk about the Tuileries and the museum's related soon-to-open show. Her lecture was so beautifully illustrated, I regret not holding up my camera to snap a picture of the stage (a favorite image was one of those dotted color-coded tree planting charts from le jardinier en chef Pierre Bonnaure that resemble abstract watercolors). She also incorporated watercolors and a pen-and-ink drawing by American landscape architect and Cooper-Hewitt National Design Award recipient Laurie Olin (remember his work at the Barnes?). 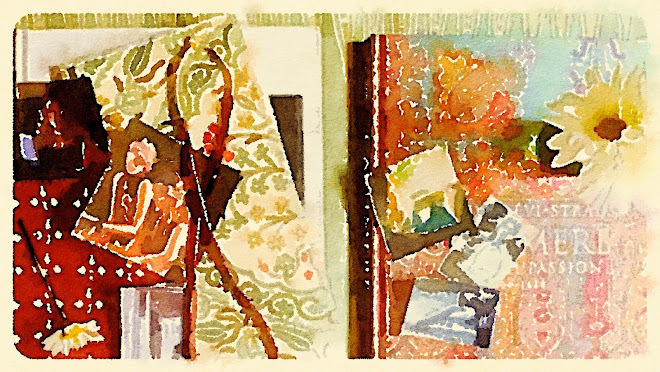 So besides hearing Deitz's personal experiences of the ancient French site, I came away with a tip: Olin's sketchbooks are on view now through mid-November at the Athenaeum of Philadelphia. 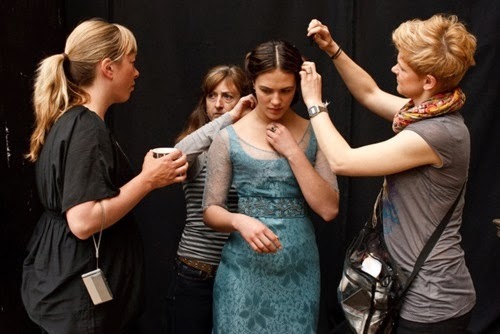 If you have plans to see Hollywood Costume (an exhibition originally organized in London by the V & A) when the show is on view at the Virginia Museum of Fine Arts November 9 through February 17, 2014, be sure to also stop by the South Asian galleries. Greatly expanded during the past few years, the VMFA's McGlothlin Wing is now home to an arcaded white marble 19th-century Indian garden pavilion. 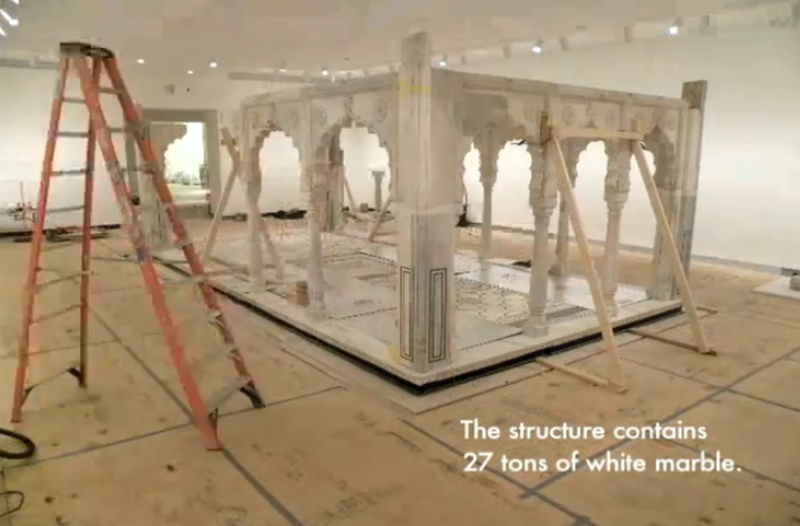 In addition to this majestic structure, the museum holds one of the largest collections of South Asian decorative arts, textiles and fine art in the U.S. (we touched on the silver a while back). For now, take a three-minute midweek escape and watch the installation of the pavilion or browse a sampling of 151 related objects like this 18th-century weight for a floor cloth or this peacock-feathered flywhisk. 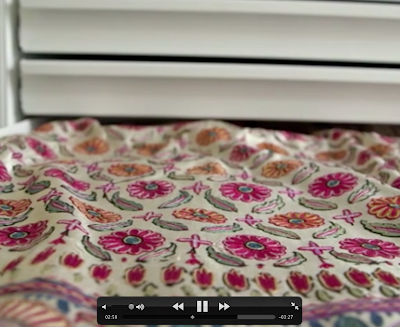 And speaking of Indian style, I spy Brigitte Singh's block prints over at Vogue this week. A few years ago over at Treasure Hunt, Emile de Bruijn did a great post on the Elizabeth coincidentally mentioned in my previous post, aka Bess of Hardwick. 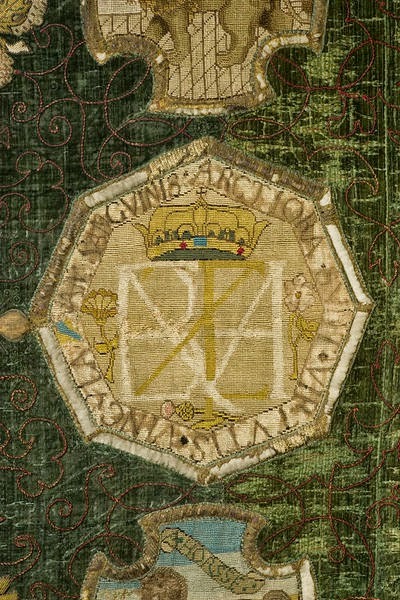 She was a master embroiderer and to this day the Elizabethan country house she built, Hardwick Hall, is known for its extraordinary collection of textiles. 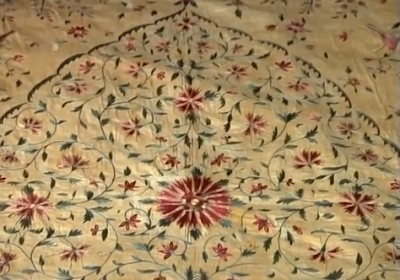 Most famous for English tapestries and embroideries, the enormous glass and stone Hall is also home to two centuries-old Indian pieces: a Gujarati floor spread and a Bengali quilt. 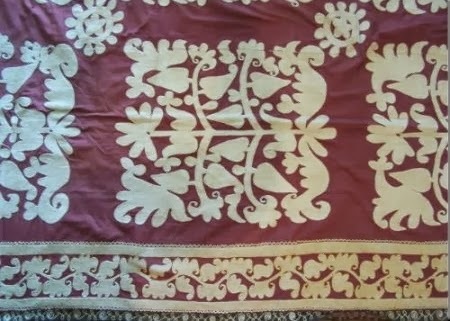 Pictured above, the floor cloth is explored in this video. 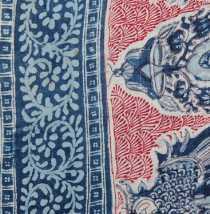 And Rosemary Crill writes about both in Textiles from India. I'm guessing I won't see much sedate embroidering going on during Reign. 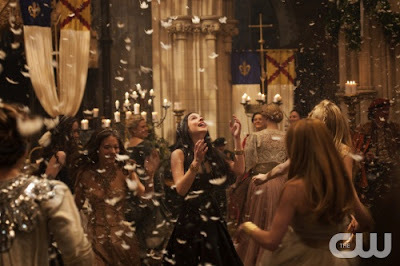 In the CW's realm, Mary Queen of Scots and her entourage will enjoy dancing, less cumbersome clothes and blow dryers that their real life counterpoints never did. 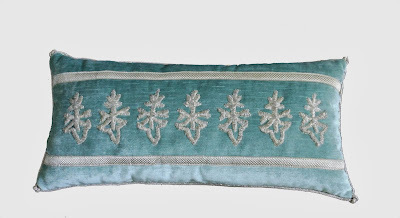 Alas, the actual queen spent many hours painstakingly pushing a threaded needle through thick silk velvet. 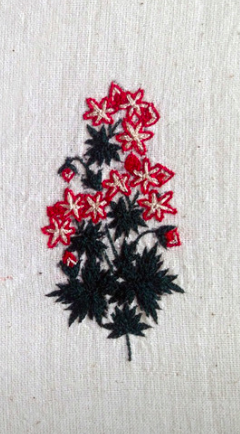 According to the V & A, later in her life Mary used needlework as a form of coded self-expression because her writings were constantly monitored while she was imprisoned in England. But apparently she had professional embroiderers on hand to assist. I stumbled across this detail from her Marian Hanging while searching for some parallels between 16th century textiles and the set furnishings and costumes designed for Reign. First, let's separate fiction from fact: the story that the Frye Company benchcrafted boots for soldiers on both sides of the Civil War is a romanticized myth. Although the company began in 1863 as John A. Frye's modest Marlboro, Massachusetts shoe shop, he didn't produce boots until the 1880s and those were initially made for ploughmen. 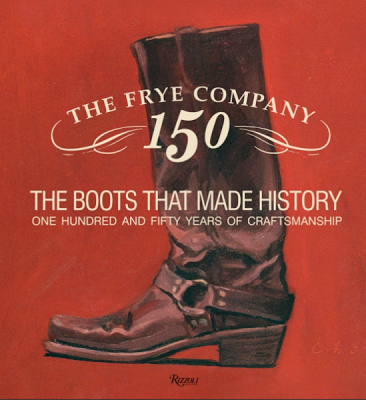 But nonetheless, writes Marc Kristal in the wonderfully large-scale ode to Frye just published by Rizzoli, the boots have long been intertwined with American history. 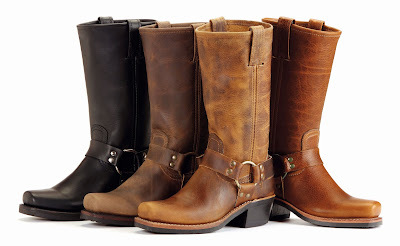 During the late 19th century, pioneers trekking toward the western American wilderness wore Frye, and later WWII soldiers' feet were protected by the boots. Frye's now iconic, still-made-in-the-U.S. Jet boot originated as an American version of the Wellington crafted specifically for a U.S. Navy Rear Admiral in 1938. 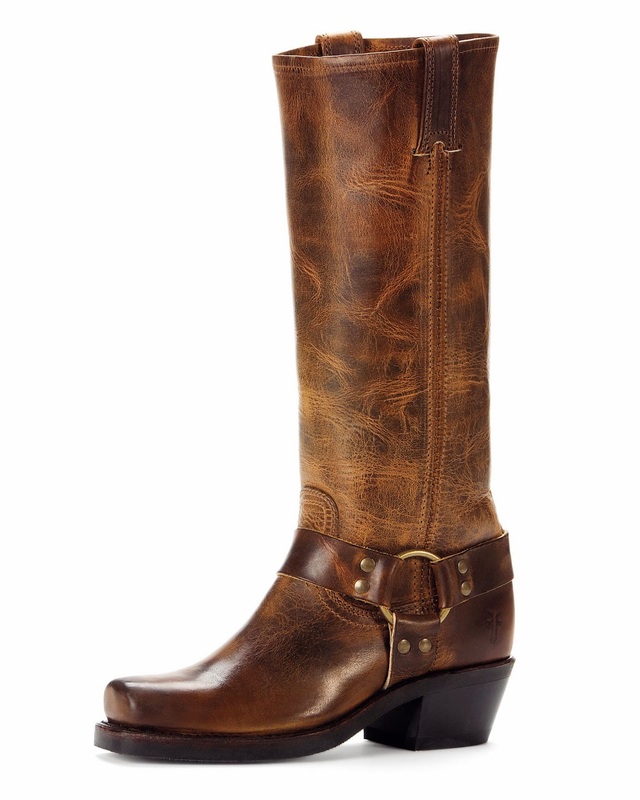 Even Jackie Kennedy requested a custom pair. Not the Jet, though. 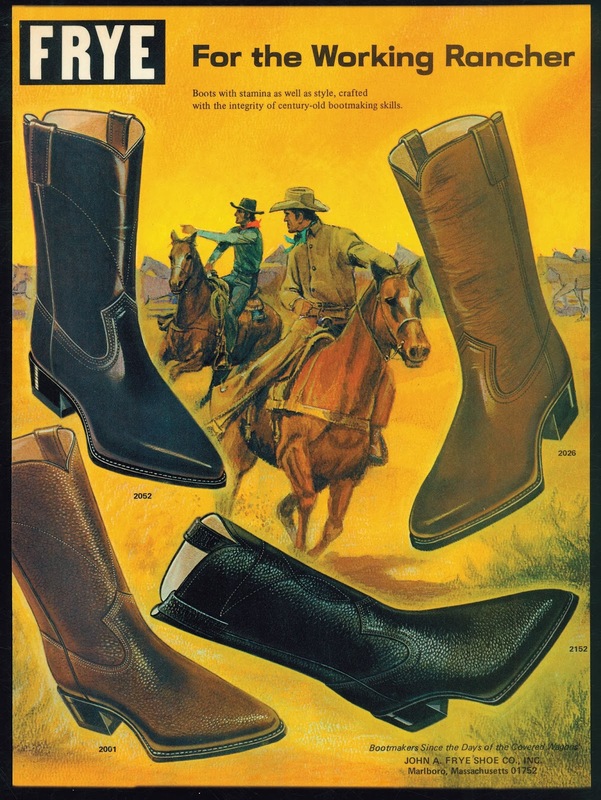 Real cowboy riding boots -- another specialty of the Frye Company that emerged after the War. During the very early 60s, while she was First Lady, Jackie was fitted in a Virginia store for her boots of "burnished brown leather on a needlepoint last with butterfly design," according to a newspaper clipping included in the book. The vintage clips and ads are one of the most fascinating components of this densely packed volume. The latter, particularly, offer a great visual history of America. Women become the focus of ads in the 1970s and stay in view through the 2000s. Case in point: this contemporary New Orleans campaign, above. But for someone who didn't inherit any 1970s Fryes from her mom or aunts (you know, like the classic Campus Stitching Horse that can be found in the Smithsonian's collection) and is a relatively recent Frye collector (I became a fan about five years ago), the book's most alluring feature may simply be the abundance of up-close images of boots old and new that detail rugged hardware, finely stacked heels and naturally antiqued leather. With main sections devoted to the Harness, Engineer, Campus, Riding and Western styles, as well as scrapbook-esque tributes to the Massachusetts workers behind these boots, the book tells the story of a successful American business -- actually the U.S.'s oldest continuously operating footwear company -- that's been crafting artisanal, truly long-lasting wares decades and decades before "artisanal" became a sometimes loosely applied marketing term. Pouring over the archive images, it's clear Frye didn't set out to be a lifestyle brand, which Kristal concludes is probably what makes their bags and boots so enduringly cool. Don't forget Go West! Art of the American Frontier from the Buffalo Bill Center of the West opens at the High November 3. BTW: Just in case you were wondering, I received no compensation or perks from Frye for this post. Book your tickets to London now. The much-anticipated (and previously-posted) Clothworkers' Centre, a new state-of-the-art study and conservation facility that offers the public greater access to the V & A's vast textile collection, officially opened last week at Blythe House at Olympia. Take a video tour here. Orderly rows of boxed holly trees have been brought in to fill the High's piazza and now anticipation is really building for The Art of the Louvre's Tuileries Garden, opening November 3. Throughout the exhibition, photography from Henri Cartier-Bresson and scenic works by French Impressionists will convey how Paris' public garden historically inspired artists. Sculpture and ceramics will be on view too, including a contribution from 16th century French potter and naturalist Bernard Palissy. Back when the garden was the private domain of Catherine de' Médicis, the queen commissioned Palissy to make her a grotto. 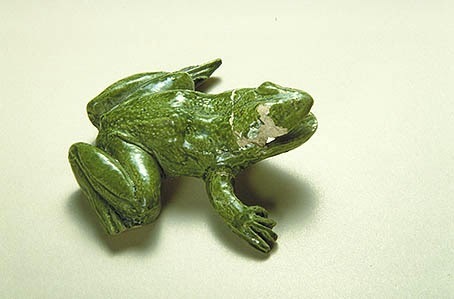 The potter's signature rustic pieces, like this brilliant green cast-from-life frog, added to the fantasy. 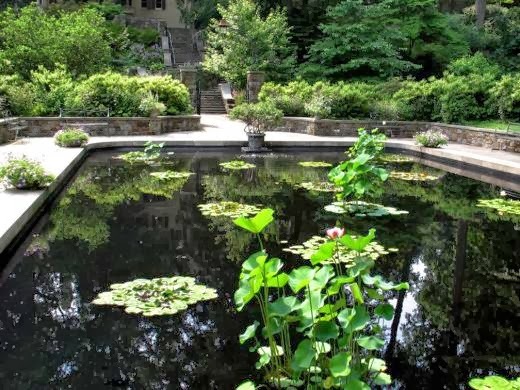 One of the most beautiful gardens on this side of the Atlantic is at Winterthur, the museum of American decorative arts ensconced in 1,000 woody acres laid out by founder Henry Francis du Pont. 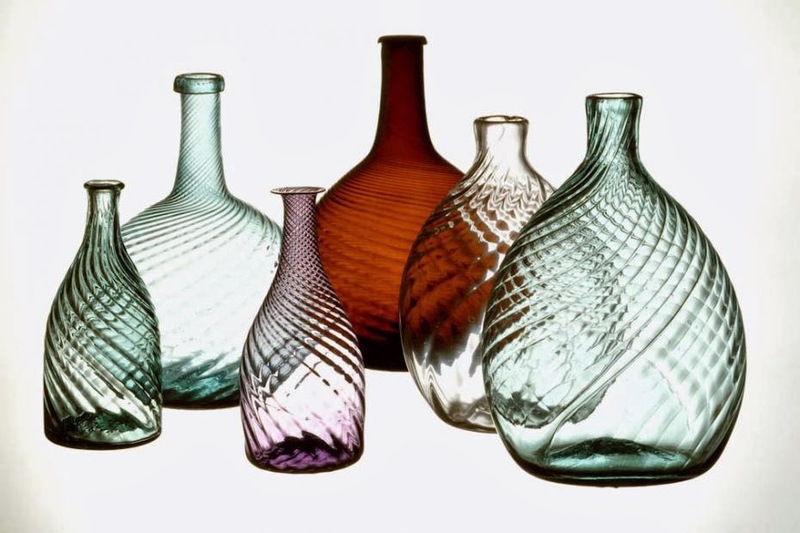 Thursday night, October 17, at the Royal Oak Foundation's Timeless Design Gala in New York, Winterthur will be honored for its work conserving and championing America's design heritage. As part of this annual benefit for Royal Oak's scholarship fund, a special auction lot up for bid is the Private Collector’s Weekend at Winterthur. 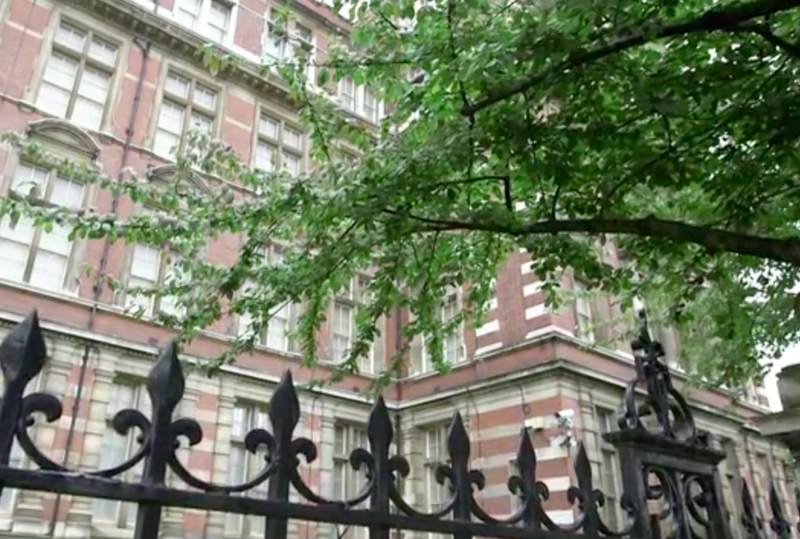 Created for a group of four, this lot includes a day behind the scenes with senior curators and gardeners as well as opportunities to peek at pieces not typically on view. 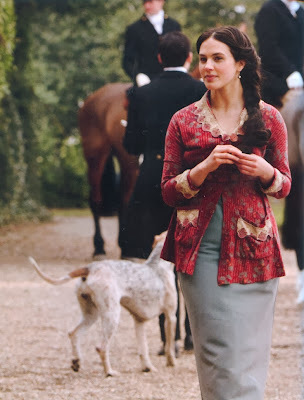 If the winning bidder turns out to be a textile enthusiast, items to chat about might include Winterthur's American needlework or the clothes en route to the museum for the 2014 exhibition, Costumes of Downton Abbey®. Apart from offering gorgeous embroidery and rarefied fabrics, this show will explore Downton-esque country life on both sides of the pond. BTW, expected Gala attendees are Margaret Russell, Charlotte Moss, Kelly Weastler and many other design industry luminaries. Find details here. Related past post: Paula Deitz's upcoming visit to Atlanta. Moonlight through moss-draped branches: maybe the image most associated with Newcomb Pottery. While no two Newcomb vases were ever exactly alike, variations of the quintessentially Southern 'Moon and Moss' theme were very much in demand. To the point that the women painting the ceramics often tired of the popular motif, notes curator Sally Main in The Arts & Crafts of Newcomb Pottery. I'm midway through this beautifully produced exhibition catalogue, and later we'll look at more iconic blue-and-green moss-covered Newcomb, but today here's a peek at another side of the New Orleans-made wares. In his contribution to the catalogue, Martin Eidelberg discusses unornamented Japanese-inspired pieces that came out of the studio around 1900. Controversial at the time, these vases with drippy, irregular glazes were appreciated by House Beautiful and the MFA, Boston (the museum acquired two examples shortly after they were created). 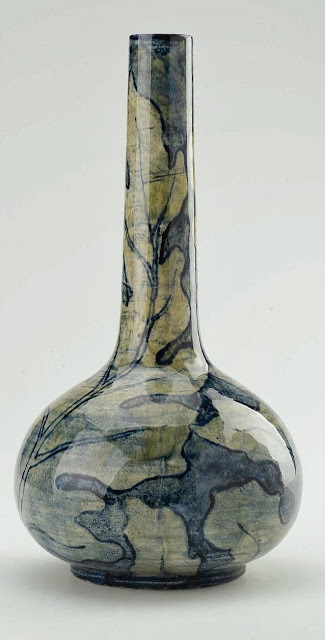 Eidelberg sees the influence of Newcomb's gifted professional potter, Joseph Meyer, here, and speculates that some student decorators such as Selina Elizabeth Bres learned from Meyer to glaze and perhaps throw their own pots. 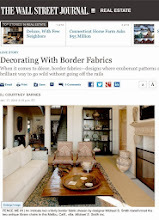 This would be a big deal because Newcomb strictly divided duties by gender: men threw; women did surface design. 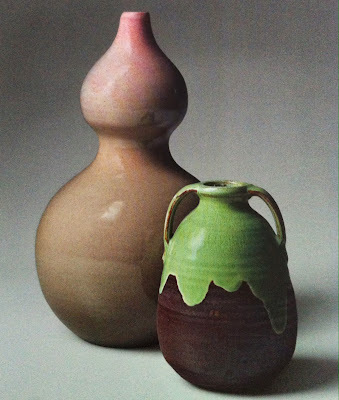 Another example of Newcomb Pottery Orientalism highlighted by Eidelberg is Emilie de Hoa LeBlanc's vase shown at top. Also in the MFA's permanent collection, this white eathenware piece has a blue and green underglaze, a distinctly Eastern form, and wonderfully stylized oak leaf surface ornamentation -- the leaves being a nod to Louisiana. Following up on a summer post, here are more of the richly patterned vintage Indian silks collected by artist and designer Lulu de Kwiatkowski. 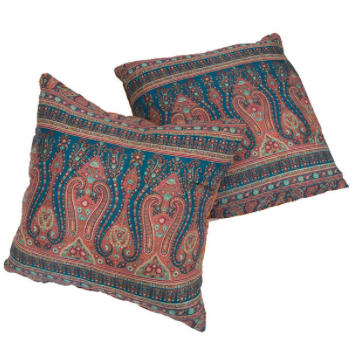 These pillows -- described by Lulu as "Talitha Getty-meets Rajasthan-meets Hermès" -- are currently available in her just-launched online shop along with wares of her own design. 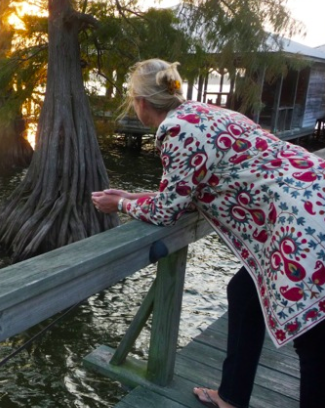 And returning to my interview with another globe-trotting textile enthusiast, Rebecca Vizard, I asked the Louisiana-based designer about her expeditions. 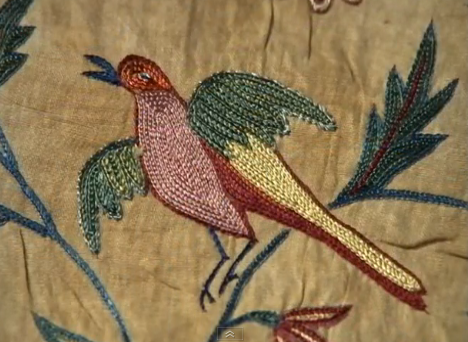 SC: When you first got into antique textiles, you were focused on European pieces, correct? 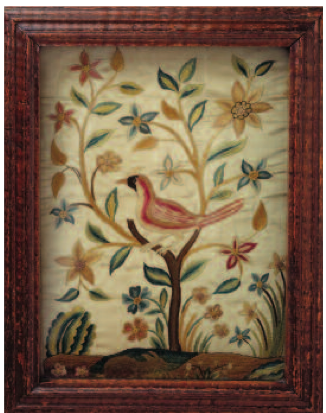 When did you begin to explore stitched fabrics from other regions, such as Turkey? 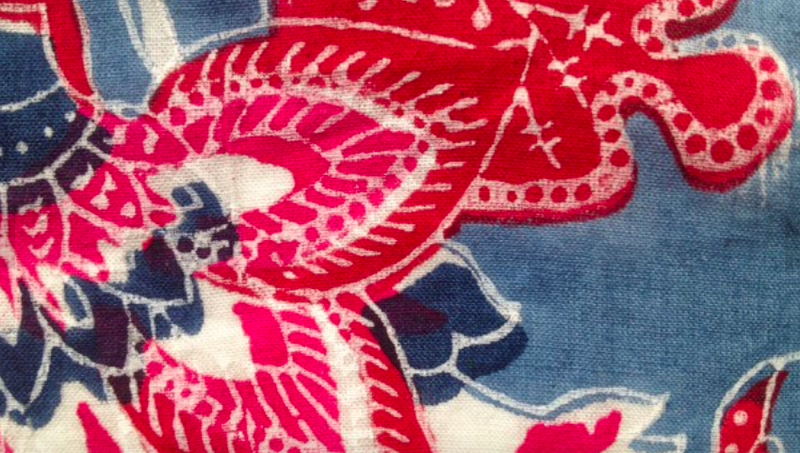 B.Viz: In 1994 there was easier access to European textiles in the States. 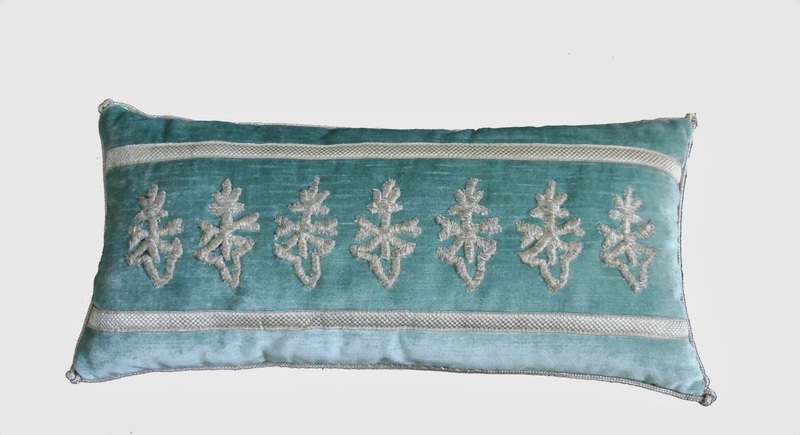 But in 1996 I received a large order for one-of-a-kind pillows from Neiman Marcus and began sourcing in Paris. I remember being fascinated with embroidered work, and after buying pieces of both silk and metallic embroidery, I soon realized the metallic is more durable. Simpler, more rustic metallic work from Turkey particularly appeals to me. There is something about the juxtaposition of elegant gold or silver thread with simpler stitches that I find beautiful and intriguing. 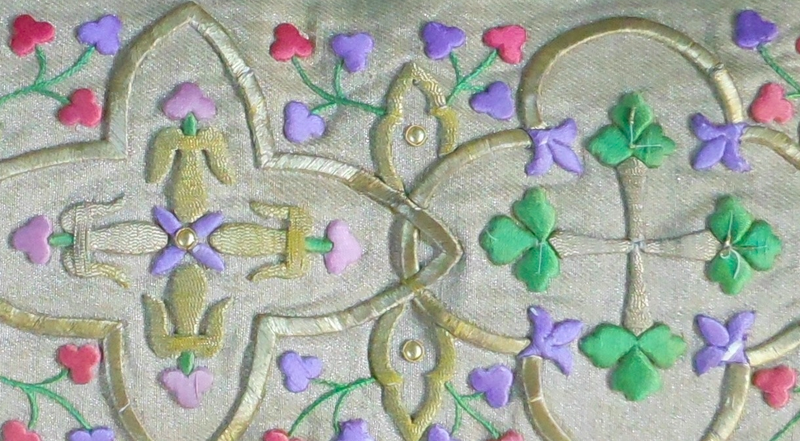 Though, many of the European raised metallic embroidery pieces are phenomenal (sometimes the stitches are so perfect it is hard to believe they are handmade). Thickly embroidered European pieces are very rare and I love to analyze their construction. Also, most of these embroideries are drawn on recycled paper, so it's fun to see the backing when we are deconstructing them. Sometimes they are drawn on old ledger paper with the most exquisite calligraphy, sometimes Bible pages, and in other instances old newspapers which helps to date them, occasionally. I bought my first suzani in Paris many years ago and paid a fortune for it! I didn't care. 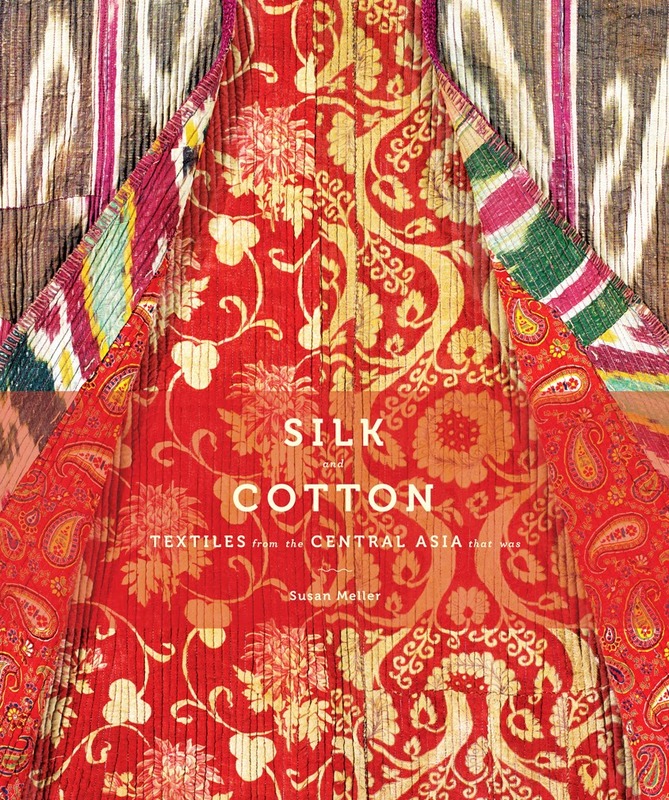 The colors and the customs behind the cover ignited my imagination for other cultures' textiles. 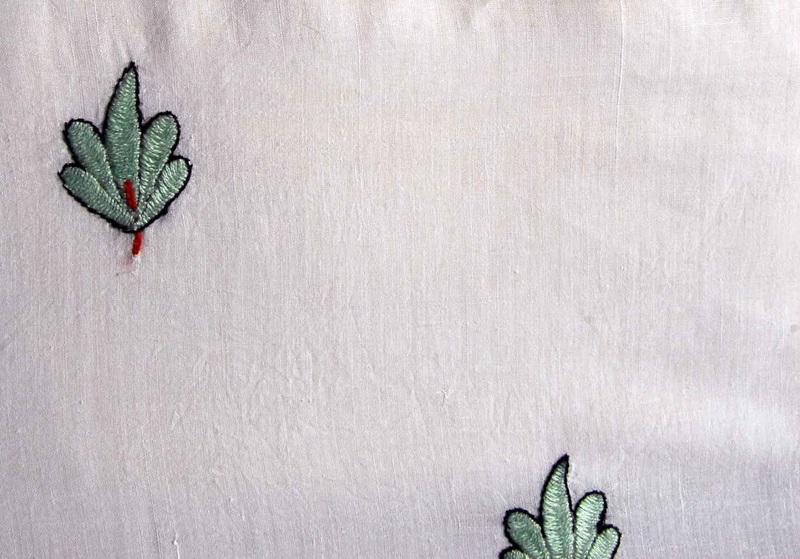 Now the market has been flooded with suzani work. I still love them but the really old ones are my most cherished….and they are rare, I would never cut them. SC: You just returned from Morocco. Visually, what stood out to you most? B. Viz: The patterns! 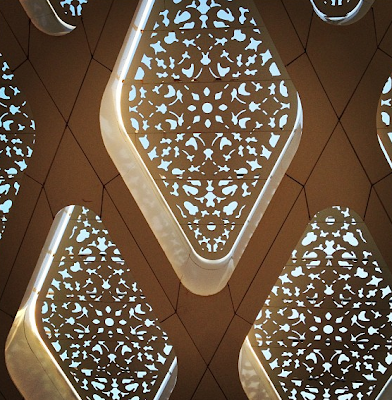 I could not get enough of them…from the airport windows to the souks. And from the architecture to the Atlas Mountains, I found color and pattern everywhere. I took over 1000 pictures. It was particularly exhilarating to experience the contrast from Paris to Morocco. It's also a great analogy to B Viz Design. Not many people realize, when they are calling from some busy metropolitan area, that my studio is in the middle of rural Louisiana down a gravel road on an oxbow lake. We have spotty wifi, no stop lights, and the closest "big" city is Jackson, Mississippi almost 100 miles away. If anyone is late for work they usually were held up by a cotton picker. 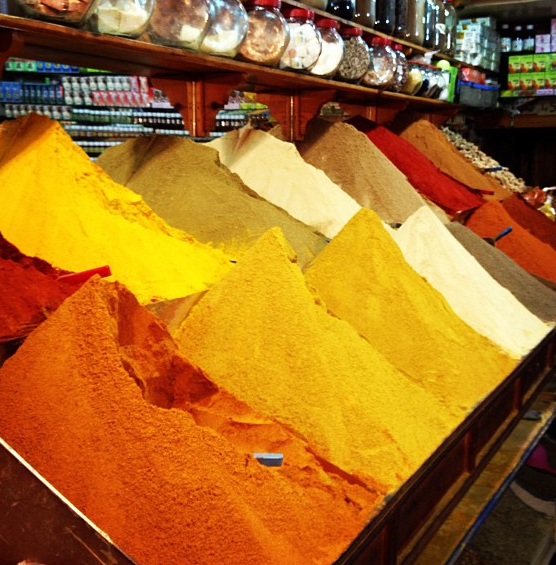 Like Morocco, the seclusion from the rest of the world intensifies your senses. I have to admit, I'm rarely blasé about anything. My country life makes me appreciative of the city, and my city life makes me appreciative of the country. SC: You have such a discerning eye. Such a sense of balance. I notice that you seem to keep in check the sumptuousness of your materials with very simple pillow designs. And while you're detail oriented, you never go fussy. Do you think for you it's innate or an approach you refined over time? B. Viz: Thank you. 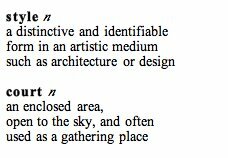 I do tend to think it's some what innate. 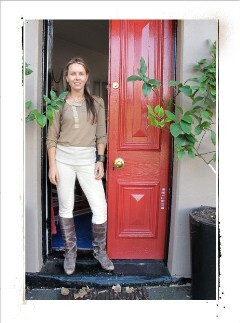 [As I said earlier] I've always been fairly tailored but I enjoy adding touches of Boheme. Traditional with some fun. When you take your style too seriously, you can get into trouble -- don't ever think you're too important to have some fun with things. You have to leave yourself open to new ideas and influences. SC: Would you share some of your favorite flea markets? Favorite museums? 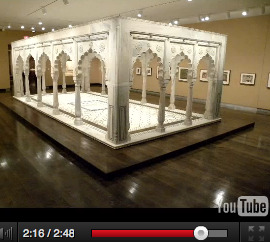 B. Viz: Picasso Museum in Paris, Belvedere in Vienna, Topkapi Palace in Istanbul, The Textile Museum in DC. Oh and the Rothko Room at the Tate was amazing when I saw it. 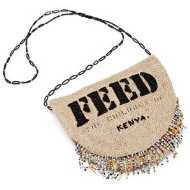 My favorite living artists are Isabelle de Borchgrave from Belgium, and El Anatsui from Africa. Demond Matsuo is a wonderful emerging artist from Louisiana. Flea Markets: St. Ouen Marche Puces in Paris is expensive, but hard to beat…it seems to be the place for fabulous things to make their debut. Most of the time, flea markets are very hit or miss. You just have to always have your radar on. One of my best scores was in Comfort, Texas of all places! SC: I know you traveled to Atlanta a few months ago to see Girl with a Pearl Earring when it was at the High. What stood out to you? B. Viz: I'm so glad you asked this and forced me to ponder why [the painting] has always been one of my favorites. 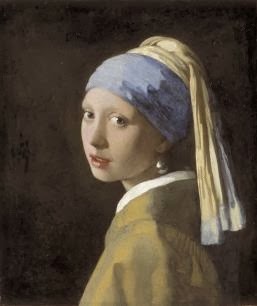 After standing mesmerized in front of it at the High, I finally realized it's not so much Vermeer's masterful strokes, but the emotion he evokes. Staring at it puts me in the same state of mind as staring at the lake in front of my house. There is something about Vermeer's blues and ochres that remind me of the water (especially in winter) and the way the sunlight hits the cypress trees and docks. For me, both the painting and Lake Bruin are full of mystery. SC: Where are you headed in 2014? Any new destinations in your plans? B. Viz: I haven't even unpacked completely from this last trip! Although I am headed to Utah and then showing at High Point in October. 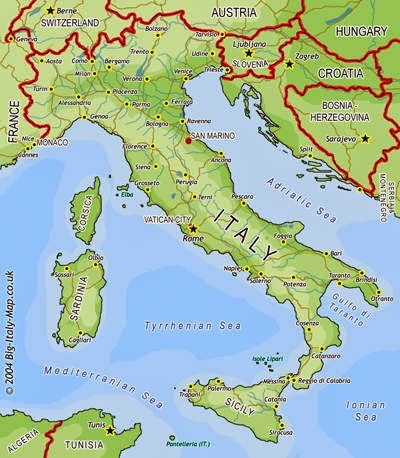 I'm trying to visit Florence soon because Marina wants me to stay at her place in Italy. 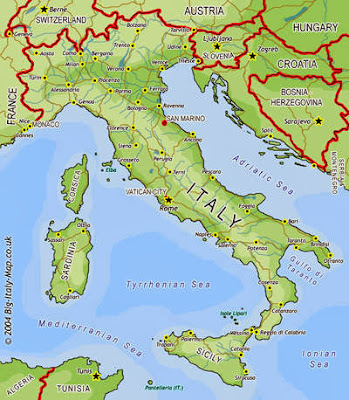 I would love to meet some of her Italian friends!